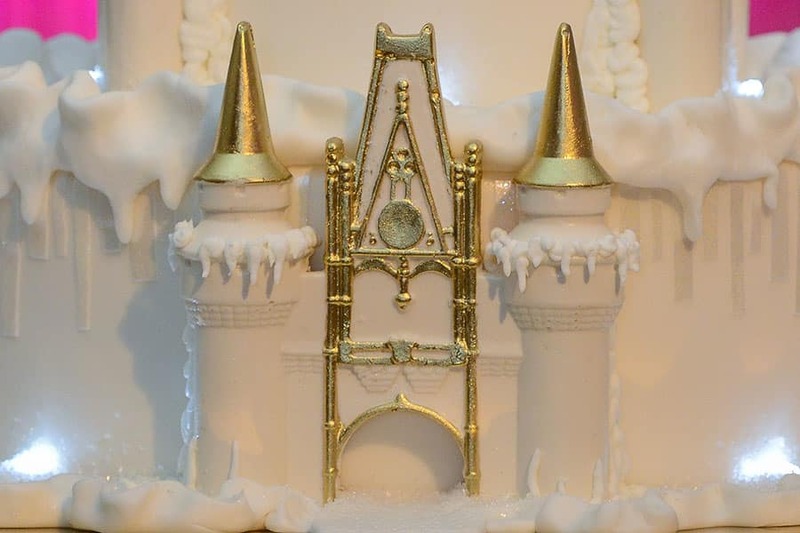 Today Cinderella Castle glows in a winter wonderland among layers of "snow and icicles". 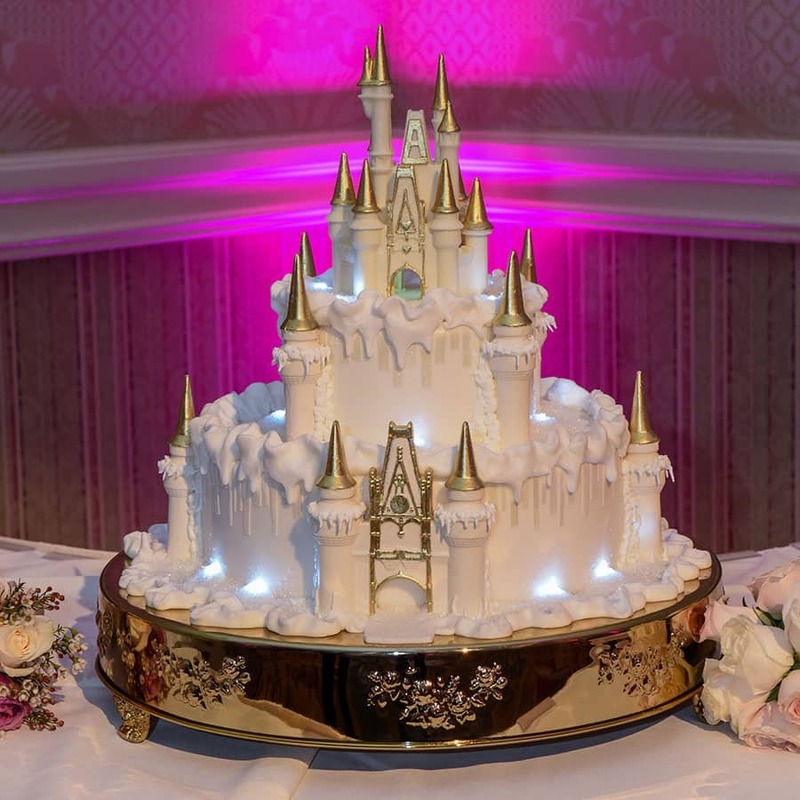 Although we definitely don't get much snow in Florida, this castle looks like it just had a serious run in with Queen Elsa. 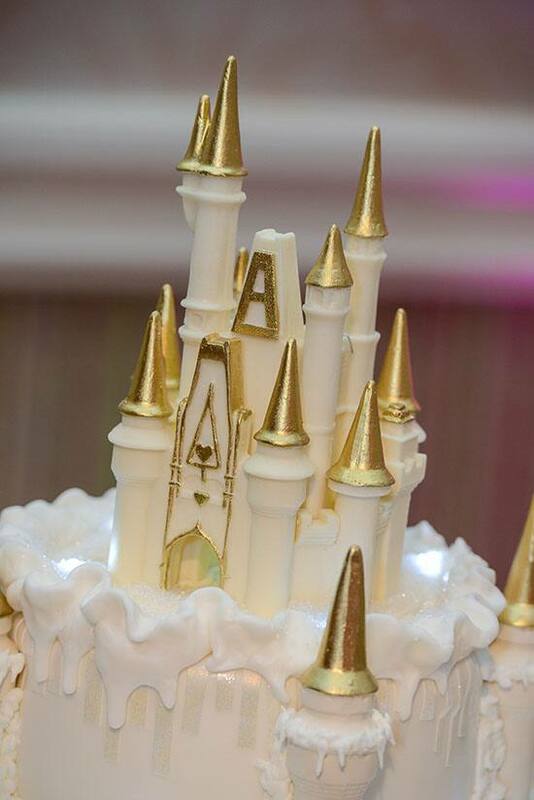 The white and gold, two-tier cake is an indulgent tribute to the centerpiece of Magic Kingdom Park and a fantasy of winter delight. 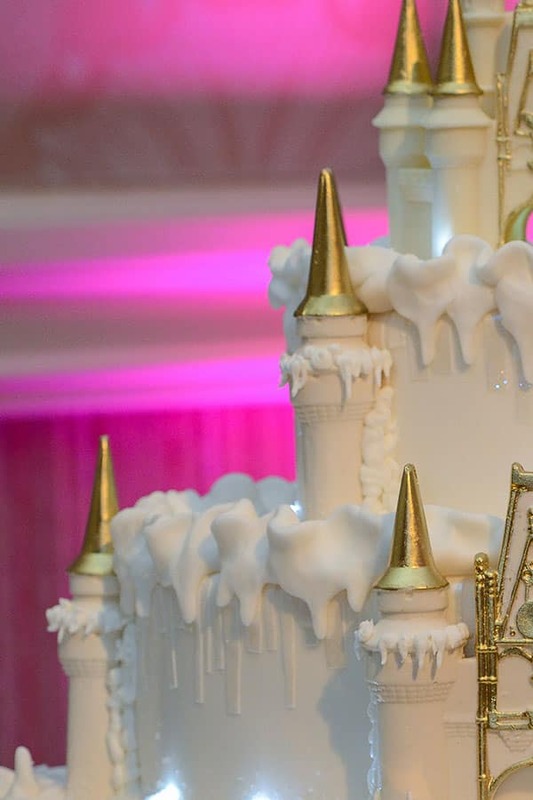 A white chocolate castle cake topper looks right at home atop this ice palace and is the perfect complement to this dreamlike dessert.